Hebrew Name -Malakiy "My Messenger"
The Temple in Jerusalem was rebuilt and many Jews had returned to the land of Israel but they had neglected the things of God. to prosper, and they need to repent right now in order for God to bless them. 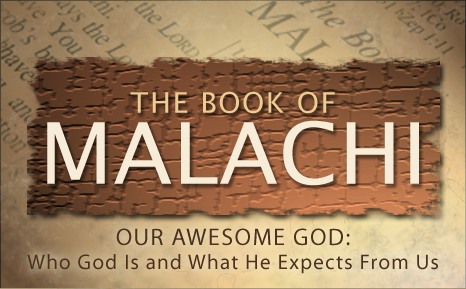 Malachi also speaks of the coming day of the Lord, but the prophet Elijah would come first, he will be a forerunner to the Messiah and then the Messiah would come. In the New Testament Elijah is identified as John the Baptist who was the forerunner for Jesus Christ (Matthew 3:1-12 and Matthew 11:14).